Tracy Levett-Jones is the Professor of Nursing Education and Discipline Lead at the University of Technology Sydney, Australia. Her research interests include: empathy, belongingness, clinical reasoning, interprofessional education, cultural competence, simulation and patient safety. Tracy has authored ten books, the most recent being 'Clinical Reasoning: Learning to think like a nurse' and 'Critical Conversations for Patient Safety'; as well as nearly 200 book chapters, reports and peer reviewed journal articles. 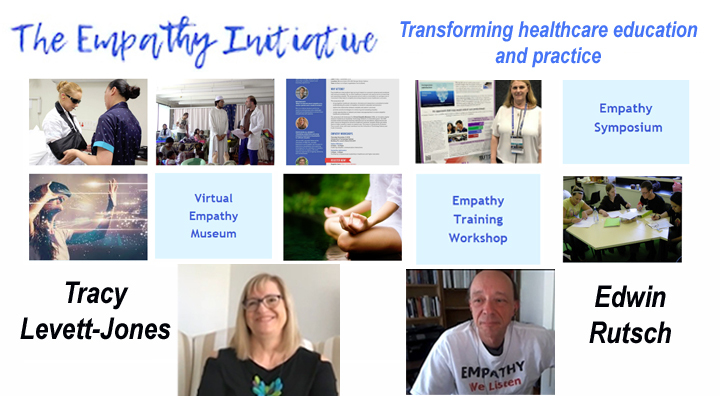 The Empathy Initiative is a group of like-minded academics and practitioners with a strong belief in the power and potential of empathy to change lives and improve the quality of care provided to patients/clients/residents. Our group shares a commitment to undertaking collaborative empathy research that has the capacity to transform education and practice. The purpose of the Empathy Initiative is to generate high quality, rigorous empathy/compassion research that informs and influences student learning and patient care, either directly or indirectly.